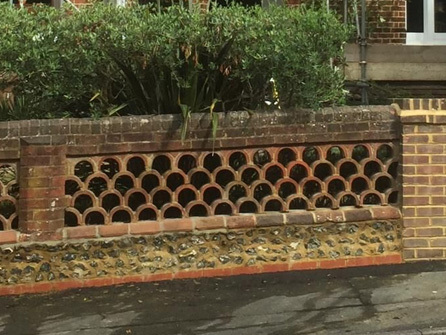 Call JBL Roofing & Guttering Services for any walls that need repointing, refurbishing or rebuilding. 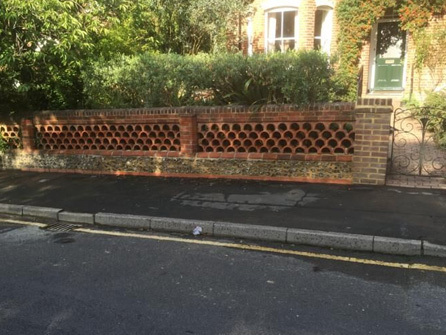 Repointing brickwork is a skilled craft and needs to be carried out by experts in their field if you want it to be done properly. 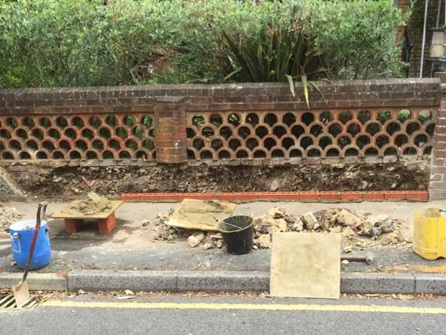 Our professional team will make sure that the mortar is completely taken out and replaced with fresh mortar to ensure a lasting finish. 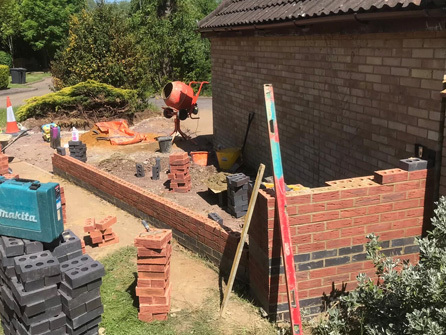 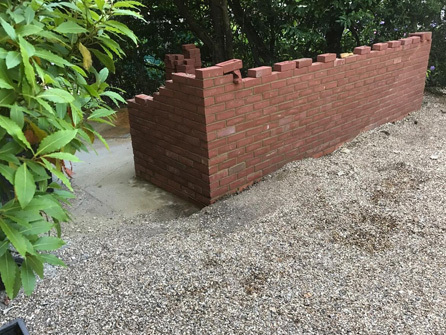 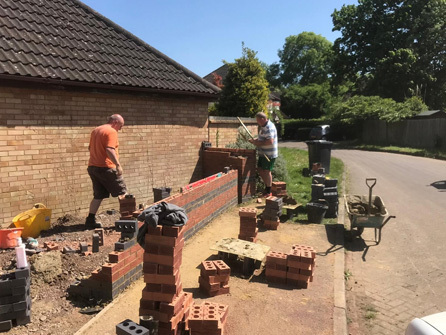 If you need new walls built in your garden, then discuss with our team what you would like, and we will make sure it happens at a competitive price. 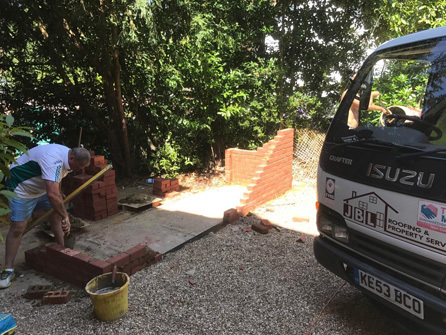 No project is too large or too small, we welcome enquiries from both home and business owners. 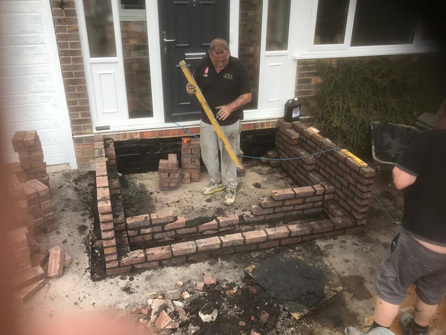 To be members of The Federation of Master Builders and The Confederation of Roofing Contractors, our brickwork is constantly vetted and approved which gives our customers peace of mind that they have chosen a reputable contractor. 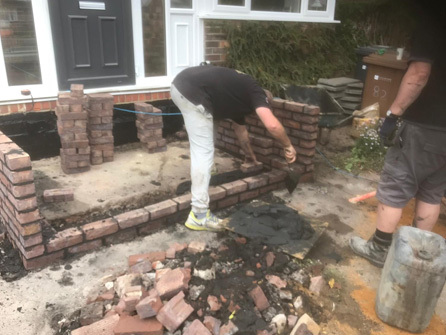 All of our team are City & Guilds qualified, you can see what our customers are saying about us by taking a look at our genuine customer reviews on our Trustatrader and MyBuilder pages. 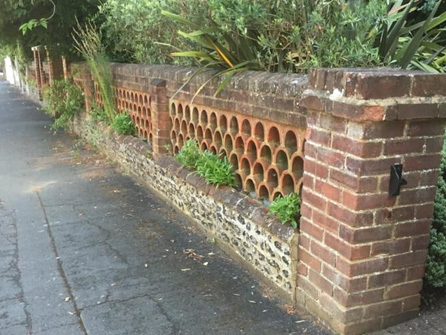 We have local references available upon request too. 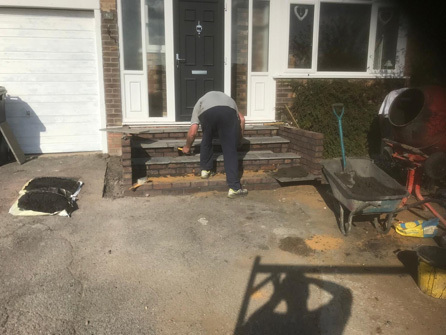 Based in Woking, we cover a large area of Surrey and Greater London including Putney, Richmond, Kingston Upon Thames, Twickenham, Surbiton, Redhill, Walton on Thames, Weybridge, Dorking, Guildford and all surrounding areas. 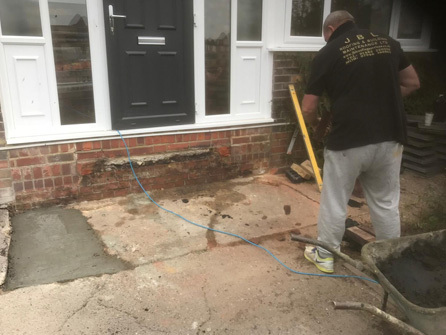 Cracks in mortar joints, loose bricks or stones, damp walls or damaged plaster work, these can all be rectified by our professional team. 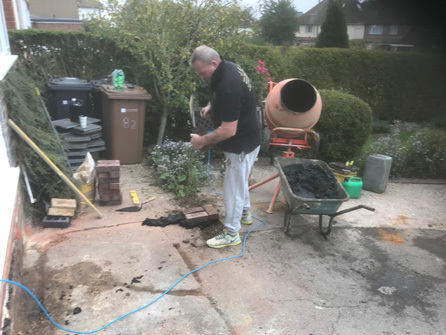 Whatever needs to be done to your property, call in the experts at JBL Roofing & Guttering Services. 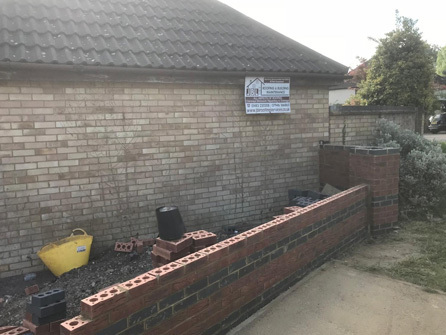 All of our brickwork is fully guaranteed, and we do not require a deposit before we get started. 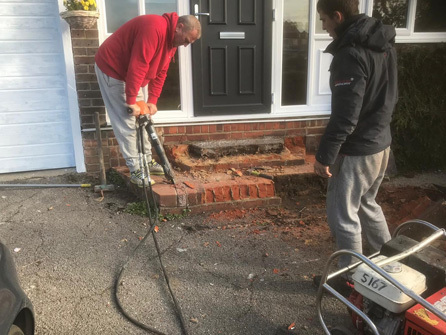 Our written quotations are issued at competitive prices and without any obligation. 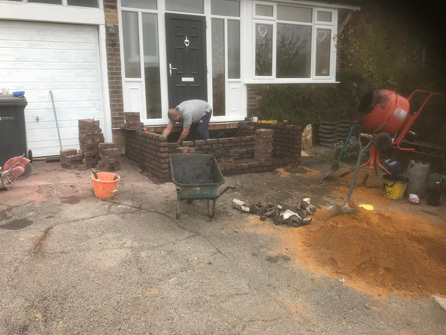 So, give us a call today on 01483 220208, we look forward to helping you with all of your brickwork needs.